One of my most loved gadgets is my Amazon Kindle. I have had most versions and my favorite is this one because it is tiny, light and easy to hold. I really love that you can find great books for cheap prices on the Kindle so I thought I’d put together a blog post one current Kindle deals. Click on the pics below to check the books out on Amazon. Amazon does not allow affiliates to post prices, but you can go see the prices for all of these books in one spot here. The first book in the highly regarded Lucas Davenport series. If you like mystery, you are in for a great long series with this one! I read this one a while back and liked it quite a bit. The main character discovers her husband is a serial killer. She changes her name and starts to rebuild her life but then a body is found in the lake by her house and she starts getting ominous letters. A great, edge of your seat read. One of those books that got wildly popular because of its tendency toward twists and turns. I read this one and found it hard to put down. Mia goes home with a stranger only to discover he has been sent to kidnap her for ransom. Just before the dropoff, the kidnapper decides to take her to a cabin instead of giving her up. The book is told from multiple perspectives including Mia, the kidnapper, Mia’s mother, and the detective assigned to her case. I recommend this one. By the same author as The Good Girl, Don’t You Cry is about a woman (Quinn) who wakes up to find her roommate is missing. The window is left open and she suspects something may have happened. The police aren’t worried so she gets a friend to help and they discover some evidence that the roommate may have committed murder in the past. Could she be planning to kill Quinn next? This book has multiple perspectives and it is unclear at times whether the truth is being told. Another book with puzzles and a twist. I loved this book so much and read the rest of the series as soon as I could get my hands on them. 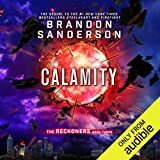 The world has changed after a celestial power “Calamity” brought superhuman powers to some of humanity. These individuals are called Epics and they can control people in different ways. In this story, the superheroes are often the bad guys. 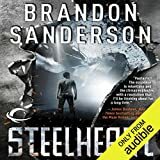 Years ago David witnessed an Epic named Steelheart kill his father and he promises to get revenge. He wants to join a group called The Reckoners, a secret group that kills Epics, so he can get them to go after Steelheart. Before he can kill Steelheart, he needs to learn his weakness. Great stuff!